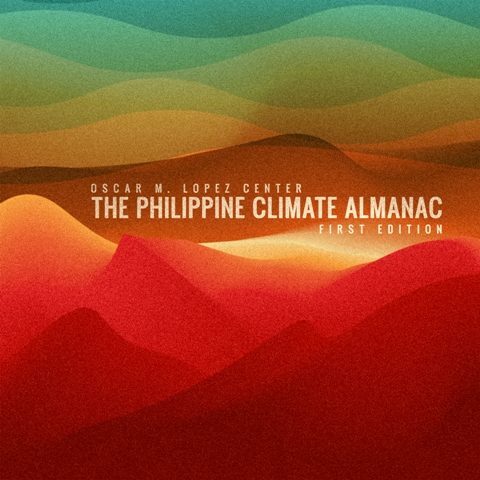 It takes inspiration from the World Almanac and old Farmers Almanac in the US in that it aims to become a compendium of interesting facts on past events and disasters related to climate. The information in the first edition are based on best available data from the Philippine Atmospheric, Geophysical and Astronomical Services Administration (PAGASA), the National Disaster Risk Reduction and Management Council (NDRRMC), and other sources at the time of publication. It is in no way complete and does not present all of the significant climate-related events. Data on tropical cyclones, especially intensity, are based on observational records by PAGASA at the time of the event. Readers, especially educators, are encouraged to use The Philippine Climate Almanac in conjunction with the OML Center’s State of the Philippine Climate, an annual report that provides a summary of observations of the country’s climate and climate-related disasters, and the OML Center’s Climate Knowledge Portal, an online resource that allows users to learn more about past and projected climate changes. Both are produced by the Center in partnership with PAGASA.